Many people resort to bug bombs—aerosol poisons— and other chemical methods to get rid of bed bugs, unfortunately, these method only kill bed bugs out in the open, not the ones hiding in dark places and tight spaces. These chemicals also have serious health side effects that include nausea, headaches, and dizziness. Fortunately, there are several all natural ways to rid you home of a bed bug infestation fast. Ask any pest control specialist and they'll tell you heat, time, and intensive cleaning are the best ways to kill bed bugs. We've got you covered in your mission to eradicate these pests from your home. Check out our list of the best home remedies for bed bugs. The first thing you need to do is nail down the exact area of the bed bug infestation. If you miss a spot, you're likely to have a resurgence of bed bugs, no matter what you use to get rid of them. Bed bugs can be found in any room in your home. They often hide in linens, furniture including box springs, mattresses and sofas, and any cracks and crevices they can find. Bed bugs can infest the baseboards and moldings in homes. Once you identify where the bed bugs are, you can create a plan to eliminate them. Remove as many items from the room as possible and place them in sealed bags. This prevents the bed bugs from seeking shelter in items that you have not identified as part of the infestation. You can treat the sealed bags using the home remedies listed below. Place items that cannot be treated in sealed plastic bags. Leave these items alone for up to one year to ensure the bed bugs are dead. Empty the vacuum cleaner after each use. Make sure to seal the bag before discarding it. Remove infested items from home as soon as possible. Always discard in an outdoor trash can or dumpster. Do not give away or throw out furniture infested with bed bugs. Someone may see it and take it home as free furniture. Destroy the furniture or mark it as infested with bed bugs to prevent the spread of the bugs to other homes. Once you've taken these first steps, you can use home remedies to tackle the bed bug infestation. One of the first things you can do to get rid of bed bugs is wash everything you possibly can. Throw pillow cases, curtains, sheets, towels, and clothing into the washing machine and run on a cycle using hot water. The high temperature will kill the bed bugs and help to reduce the problem. If you've returned from a trip abroad where bed bugs may have hitched a ride, wash any fabric purses or bags as wells. Vacuuming is your best friend when you want to eradicate bed bugs. Use the vacuum on any surfaces that have linen including upholstered chairs and sofas. You can also use a handheld vacuum on mattresses, box springs, bed frames, and curtains. Make sure to get underneath and behind furniture in affected areas to eliminate the bugs. Make sure to seal the vacuum bag and dispose of it in an outdoor trash can. When it comes to do-it-yourself bed bug control, one of the most effective methods is to clean, clean, clean. The more you clean your home, the more likely you are to find all of the bed bugs and eradicate them. Heat treatment is a great way to get rid of stubborn bed bug infestations. Vacuuming may miss some of the pesky bugs, which results in a resurgence of the problem. Steam cleaning uses a combination of high heat and water to kill the bugs with steam. This eradication method is effective on both the adult bed bugs and their larvae, helping to prevent the spread of the infestation. A study published in Insects found that bed bugs die at temperatures of 118 degrees Fahrenheit. Make sure your steam cleaner runs at this temperature or above for successful eradication. You can rent a professional steam cleaner to reach every nook and cranny or purchase a handheld steam cleaner for minor infestations. It's best to use dry steam rather than wet steam, particularly if you have fabrics that are sensitive to dampness. Diatomaceous earth is a natural powder that is known to eliminate a variety of pest problems including cockroaches and bed bugs. Diatomaceous earth is made of the fossils of aquatic animals and contains high concentrations of silica. This powder is an effective way to get rid of infestations in tiny cracks and crevices. Diatomaceous earth should be sprinkled on infested areas after you have vacuumed and steam cleaned your home. The powder must remain there for several days to ensure the bed bug problem is eliminated. Use food grade diatomaceous earth if you have pets or young children that may get into it. Apply the powder using a mask to prevent lung damage as the silica particles can cause minor cuts when inhaled in large amounts. Baking soda is a home remedy that takes time to kill bed bugs, but is entirely natural. The baking soda causes bed bugs to die by dehydrating them. Dust infested areas with baking soda making sure to get any hiding places the bugs may seek shelter in. The baking soda should sit for several days to a week so this method is best used on infested items—like those in sealed plastic bags—or in smaller infested rooms. Cayenne pepper is known to kill bed bugs and deters populations from entering your home. You can make it even more effective by combining it with other bug deterrents such as lavender oil, oregano oil and ginger oil. You can also use peppermint oil, cinnamon oil, and lemongrass oil. Combine equal parts of the essential oils and cayenne pepper with one cup of water. Add the mixture to a spray bottle and use the bed bug treatment on entryways and areas that may prevent bed bug entry such as bed frames. You can also use essential oils such as lavender to treat the itchiness of bed bug bites. Just apply one or two drops topically using carrier oil such as coconut oil or olive oil. Rubbing alcohol is a known insect killer that eliminates them by destroying their cells. Rubbing alcohol is particularly effective in killing bed bug eggs. Rubbing alcohol is a desiccant, which means it is a drying agent. The rubbing alcohol dries out the eggs, preventing them from maturing. Bed bugs also tend to avoid laying eggs on surfaces that have been treated with rubbing alcohol so you can prevent further reproduction of the pests. Dryer sheets emit a strong smell that bed bugs find repulsive. Place anywhere from six to ten dryer sheets in between layers of bedding to prevent infestations. Place sheets between the mattress and box spring and between the mattress and any linens. Make sure to replace the sheets every so often to maintain the fresh scent that bed bugs despise. Bed bug infestations are increasingly common in the United States. Once stigmatized as a problem in poor, unclean areas; these bugs have now invaded homes across the globe regardless of affluence. The difficulty with bed bugs is that their tiny size makes it easy for them to hide and escape eradication measures. When it comes to natural bed bug treatment, cleaning is essential. 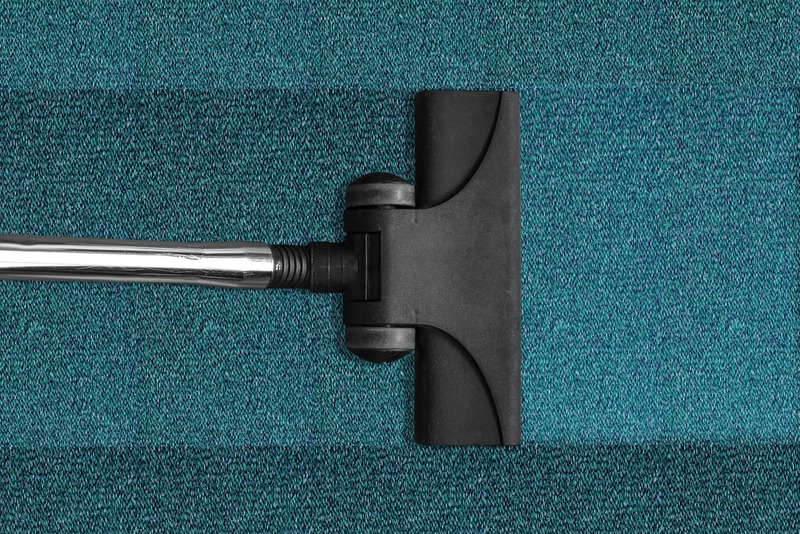 Use a vacuum at least once a week and steam clean all carpets and fabric surfaces. Use baking soda, cayenne pepper or diatomaceous earth to eliminate bed bugs in tight spaces. Remember that high heat is your friend and pay close attention to hiding places that may escape an initial cursory examination of the infestation.